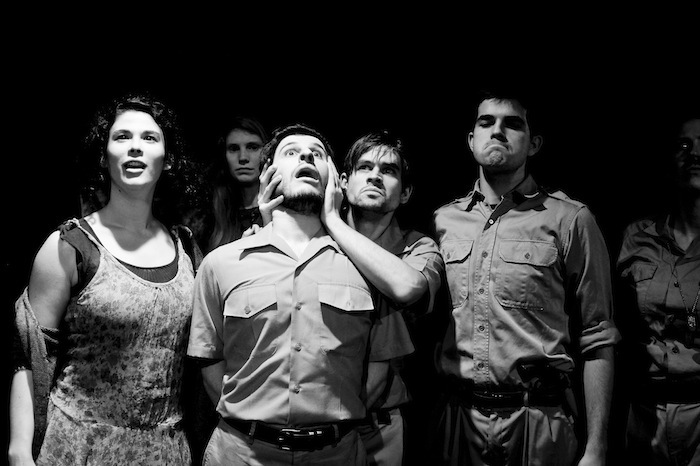 A Man's a Man is Piehole’s adaptation of the musical comedy by Bertolt Brecht. 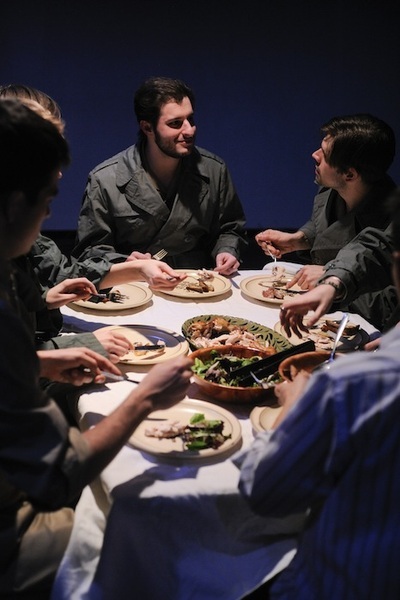 This production recontextualizes the play from Brecht’s satirical “army recruitment center” to a radically contemporary army-recruitment event, created by a fictional consulting firm that strives for authenticity and earnestness in its approach to advertising, much like the Levi’s “Go Forth” ad campaign. 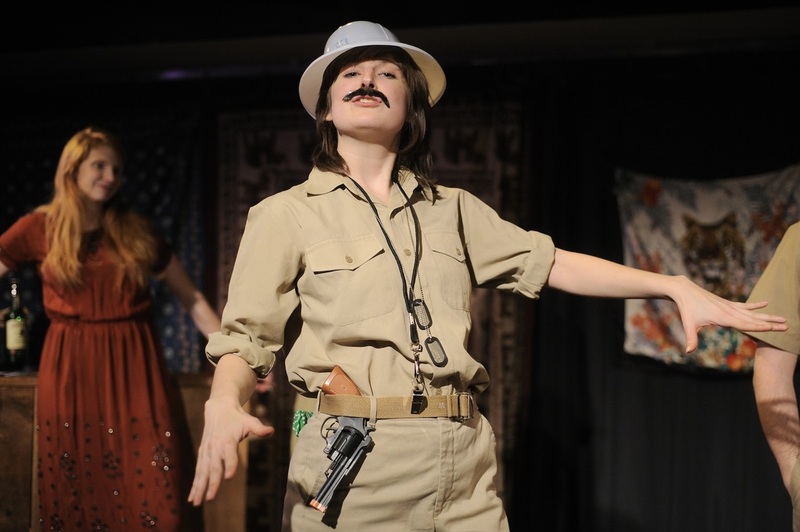 The consulting group members take on Brecht’s silly British soldiers, with fake accents and mustaches, only to gradually be sucked into the harsh realities of war. Using video and original music by Jason Sigal, Piehole’s A Man's a Man plunges into a landscape of fake and real wars to investigate identity, authenticity, and agency. This project was developed under the guidance of Anne Bogart at Columbia University in 2012. 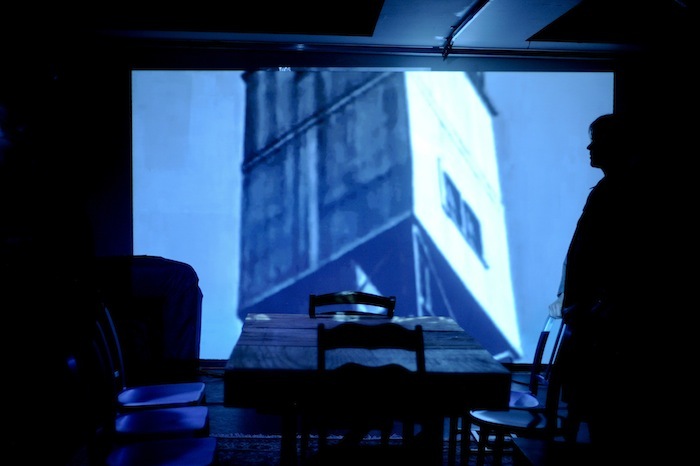 A Man's a Man was devised by performers Jessica Goldschmidt, Kerry Huang, Allison LaPlatney, Adam Mazer, Alexandra Panzer, Kathryn Wallem and Jeff Wood, in collaboration with dramaturg Elliot B. Quick and director Tara Ahmadinejad. Original compositions by Jason Sigal, with lighting design by Daniel Sterns and costumes by Summer Lee Jack. Set design by Piehole in collaboration with Chris Haag and Ross Cowan. Assistant Directed and Stage Managed by Sam Alper. Projections by Jeff Wood, with voice over by Mark Lanham. The consulting firm shows this recruiting video/time portal.